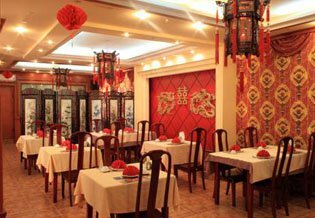 The restaurant occupies two floors of a two- storey mansion dating as back as the beginning of the 20th century, and is comprised of two large and three small rooms admitting altogether 130 people. 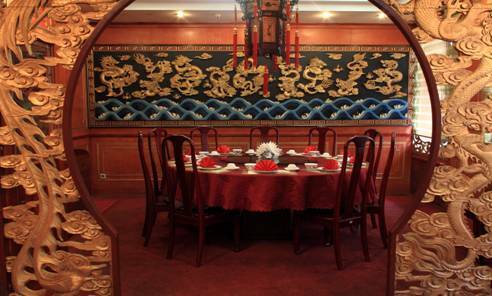 The restaurant’s interior shows classic Chinese style, while every single room has its own design and decoration. Two small rooms at the ground floor for 10 and 8 seats offer Video and TV facilities. 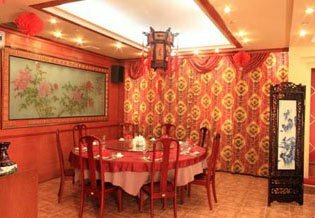 The large room on the first floor can admit 80 people, small room beside – up to 20 people. 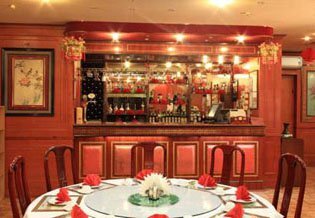 Owing to many small cozy rooms Du Long restaurant is an ideal place for various celebrations, memorable events, buffets, banquets, as well as presentations, meetings and official receptions. 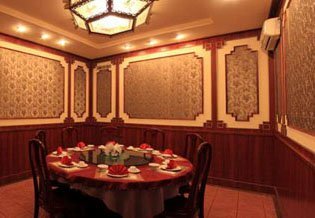 The restaurant’s menu (over 250 items) offers the best dishes of the four most famous and popular Chinese cuisines - Jiangsu, Sichuan, Shandong and Guangdong, cooked by the best Chinese chefs plus fine and exotic Chinese dishes for gourmets. 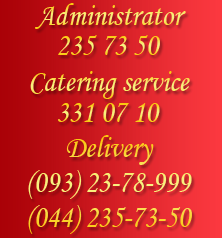 Chinese cuisine enjoys its popularity around the globe for many years having millions of devotees. Join them right now! Payment modes: cash, cashless payments.